Just pretend you are leavin' a note in that old spiral notebook we use for a journal at the cabin. Whoever comes along can read what others wrote, and add their own 2 cents. If you want to reply to what someone else wrote, or add something new, and we will pass it along. Good to hear from you! This is where you put in your 2 cents. Scroll down to see what others have had to say. Searching for Robbins or Hlavaty family history. Happy Birthday to Curtis Rhyne! He is 96 years old today He was born in Pear Park (near Clifton) in 1915. Does anyone remember Don & Mary Roth? Photo is link to the souvenir shop. Whether you are a visitor, or a past or present resident, find the perfect way to capture your happy memories of Glade Park and Pinon Mesa. Looking for a gift for someone who loves this place? You will find it here. 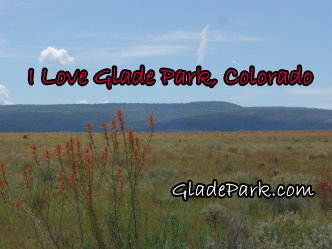 Click on photo for link to Glade Park Mercantile.